The word sovereignty means one who is above all. It is the supreme and highest power. The Christian defines the Sovereign Lord as unlimited, independent, with original authority. For fallen man, sovereignty belongs to the state because the state is the source of law. Since the Christian can have no other gods (Ex. 20:3), history is defined appropriately by Augustine as a conflict between the City of Man and the City of God. As in all conflicts, we must choose this day whom we will serve. Calvinists often limit the doctrine of sovereignty to a systematic theological definition of God. Much more work is needed in developing the implications of sovereignty for the Kingdom of God and its application in terms of the law-word of God. 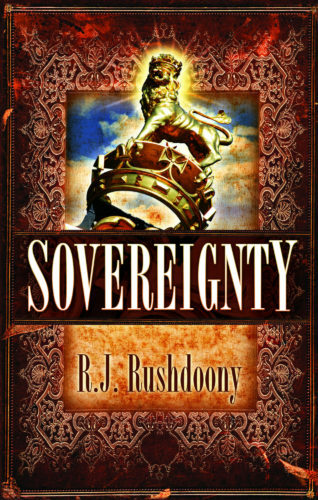 In this posthumously published volume, R. J. Rushdoony examines the comprehensive implications of God's sovereignty with a clear eye to critiquing the various places where man posits sovereignty-especially the sovereign state. This is a must-read for anyone seeking to understand the crises of our times.